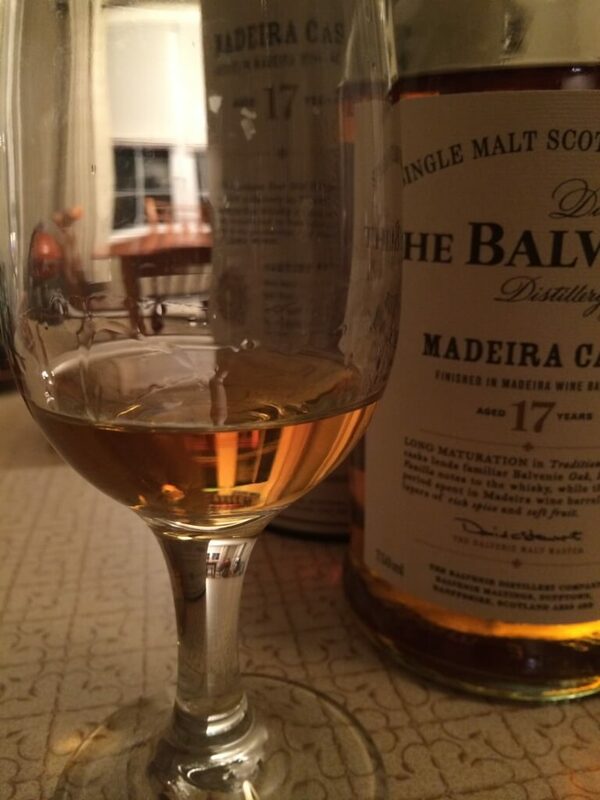 The Balvenie 17 Year Madeira Cask was coming on the scene right around the time I really started paying attention to single malts. This ended up being the last of what I call the “David Stewart Experimental Collection” of annual 17 year old limited releases. This release started its journey around the time Terminator 2 was released in theaters and spent 17 years in American oak before being finished for a few months in Madeira casks. How did the experiment go? Taste A gradual arrival. Winey, more honey, grapes, apples, oaky vanilla, cherry, a hint of those chocolate oranges, caramel, nutmeg and cinnamon. Finish Delicate and woody, a bit tart, nice vanilla, some pepper. Drying, spicy oak at the end. Overall Thoughts As usual, there’s absolutely no mistaking this as anything but Balvenie. The balance between the honey, vanilla, and oak is incredibly well-crafted. Somehow, David Stewart also managed to add a sweet wine finish without jeopardizing the core flavor profile. As such, this doesn’t scream Madeira. In fact, it doesn’t even exclaim it. It’s ok though. It’s well done and I’m glad I’ve still got some kicking around for a rainy day.